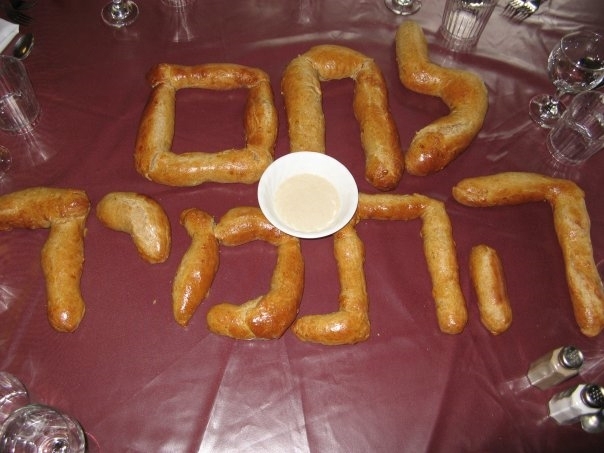 This challah is the “eternal challah,” the lehem hatamid, placed on the table of showbread in the sanctuary. Kind of like the ner tamid, the eternal flame, only edible. For this challah, I made a bread starter, pictured in the bowl at the center, with the intention to use this starter for my challot, eternally. It was a good plan, but unfortunately the starter died soon thereafter!